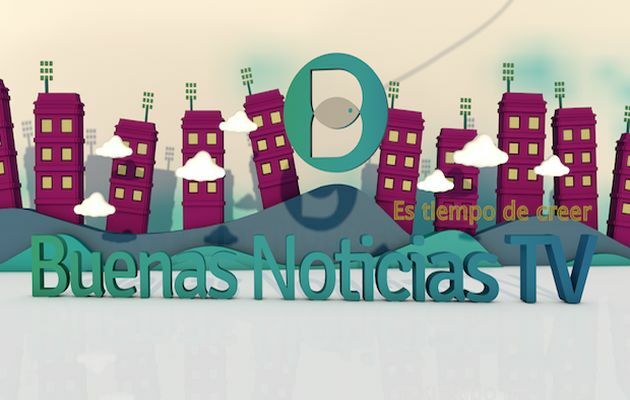 The evangelical Spanish TV program “Buenas Noticias”, celebrates its 30th anniversary giving 3,000 bibles. The Spanish evangelical TV program “Buenas Noticias” (Good News), has decided, with the help of the Spanish Bible Society, to give one Bible to each worker of the public television, to celebrate its 30th anniversary. “When I thought in the best way to celebrate the 30 years of the program in the public network, many things came to my mind, but, above all, I had a desire of expressing my gratitude by giving to each of my co-workers in the national TV, a Reina Valera Bible, which is the Bible of the Spanish protestants”, explained Jose Pablo Sanchez, the director of the program. “Since the beginning, we have given parts of the Bible to those who follow us at home, and now, in our anniversary, we want the public TV workers to also have one”, the presenter of the program, Beni Moreno, said. During 30 years, the Spanish public television has offered an evangelical program to the society, where the evangelical churches have had the opportunity to share their message and identity with the people of Spain. “This inversion of the public TV is very generous, and it shows its willingness to be a public service for everybody, so that, in this special occasion, the Spanish evangelical churches want to offer the best they have: the Bible”, the responsible of the program commented. To meet this goal, the Bible Society has started a campaign to finance the bibles. Each Bible costs 3 euros, and they are fundraising the money until December 31st. The Bible is called “The Bible of the Reform”, and it is a commemorative edition for the 500th anniversary of 2017.